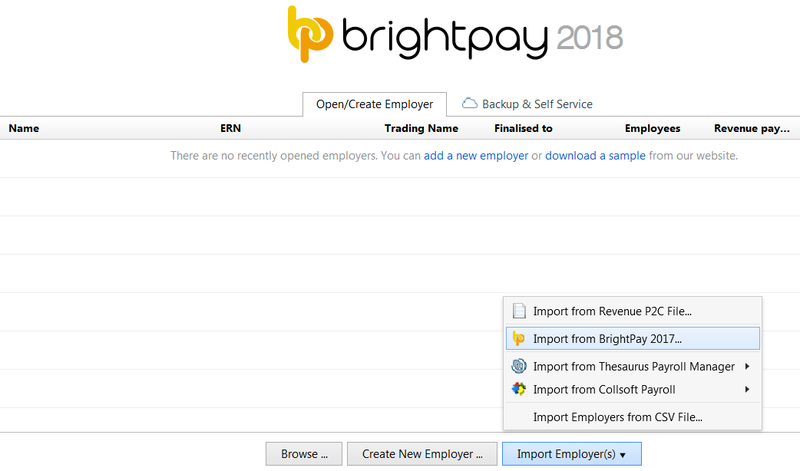 As soon as BrightPay 2018 is installed, a new separate icon will be created on your Desktop to access the 2018 payroll software program. BrightPay 2018 installs separately to BrightPay 2017. 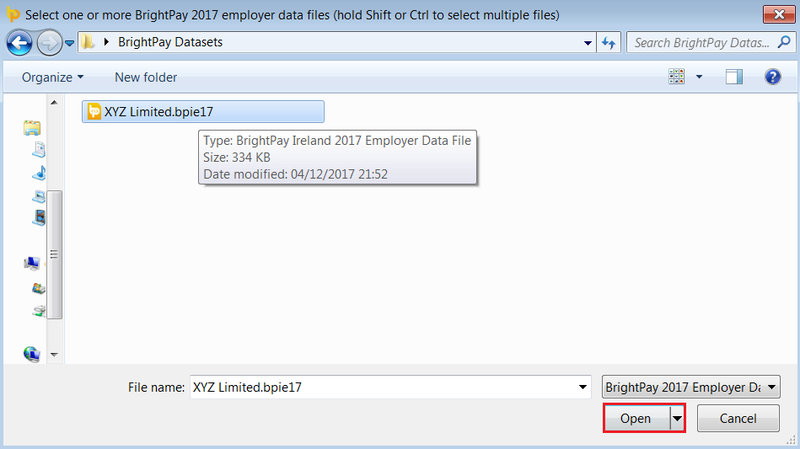 If you used BrightPay 2017, you will thus need to instruct BrightPay 2018 to import your employer data files and all associated employee data records from 2017 into 2018. All employee data records will be reset for the start of the new tax year and all associated budgetary changes will be applied as per Revenue instruction. It is also important that on completion of setting up all employer data files for 2018, that you import your 2018 P2C file prior to commencing any payroll in 2018. 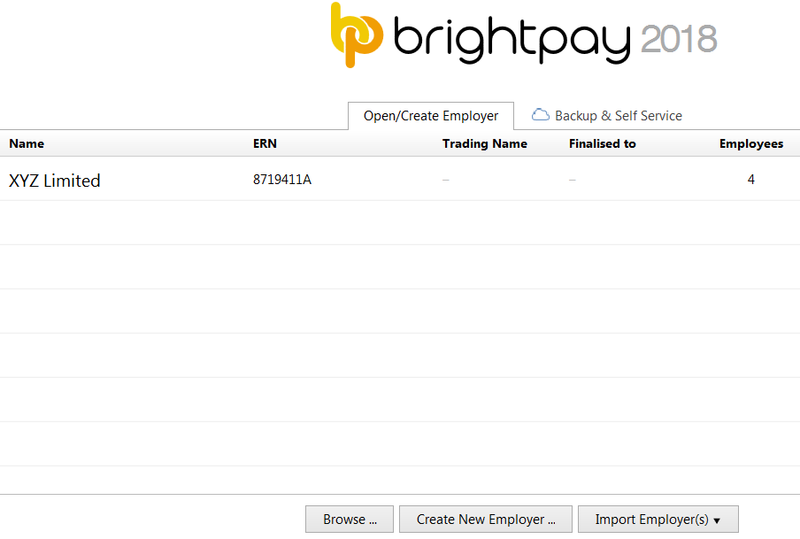 BrightPay will now commence the import function setting up the employer data file and importing all employees with active employment records. BrightPay will indicate when the import is complete.